Provided Land Surveying and Civil Engineering Site Design services for a school building addition and related site improvements located on a 35-acre school campus. 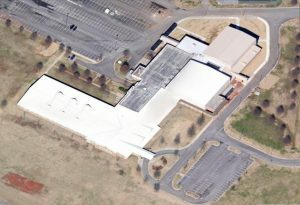 The site design project included demolition of existing facilities, a new 29,000 SF school building, parking facilities, storm drainage improvements, and general site improvements to the school campus. J&A designed the site geometrics, site grading, storm drain, traffic control, utilities and erosion control plans. Additionally, we provided construction administration services and construction inspection services during the procurement and construction phases of the project. J&A performed Land Surveying and Civil Engineering Site Design services for a new 450 Student Elementary School to replace an existing outdated school facility. We provided a comprehensive topographic survey of the 43.6 acre site including off-site storm drainage facilities for storm water analysis. 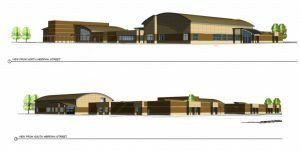 The site design project included demolition of the existing facilities, a new 64,000 SF school building, parking facilities, bus drop off lanes, student drop off lanes, storm drainage improvements, playground areas and an athletic track. J&A designed the site geometrics, site grading, storm drain, traffic control, utilities and erosion control plans. Additional services included construction administration services and construction inspection services during the procurement and construction phases of the project. J&A was selected to perform Topographic Surveying and Civil Engineering Site Design services for site improvements to the existing Mountain Gap School campus. The site design included improvements to the existing parking lots, retaining walls, storm drainage system and site grading. The goals of the project were to resolve several drainage issues around the campus and improve driveways, parking areas and outdoor ball courts with new asphalt pavement and striping. Resolution of the drainage issues required an analysis of the existing surface drainage flow patterns and storm drainage issues. The proposed design solutions included site grading, new storm drain pipes, new valley gutters and milling of existing pavement prior to overlay. J&A also provided construction administration services and construction inspection services during the procurement and construction phases of the project. 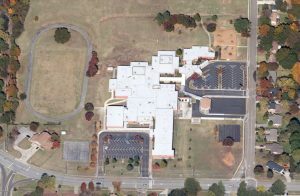 J&A provided Topographic Surveying and Civil Engineering Site Design services for a school building addition and related site improvements at an existing school campus. 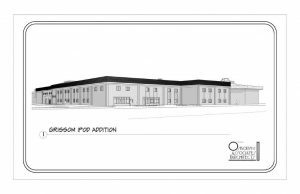 The site design project included demolition of existing facilities, a new 16,500 SF gymnasium and classroom addition, storm drainage, utilities and general site improvements to the school campus. J&A designed the site geometrics, site grading, storm drain, utilities and erosion control plans. We also provided construction administration services and construction inspection services during the procurement and construction phases of the project. J&A provided Land Surveying and Civil Engineering Design to add two baseball fields, a softball field, an international soccer field and a football field at a newly acquired 20-acre tract adjacent to the Bob Jones High School campus. We prepared USACE 404 Permit for relocation of an existing stream. We also designed additional program facilities for the existing track and field area including a new retaining wall around a portion of the track facility, yard drainage system for the existing football field/track area and a new rubberized surface treatment to the existing track.